Wells Fargo donated books bags loaded with school supplies. There will be some very happy students heading to school this year with their new book bag and supplies in hand! 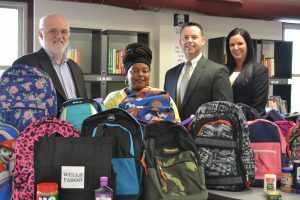 Thank you, Wells Fargo!